[caption id="attachment_285" align="aligncenter" caption="Sandbanks Provincial Park"] [/caption] Back in the early 90s, Prince Edward County (PEC) was known as Quinte's Isle. 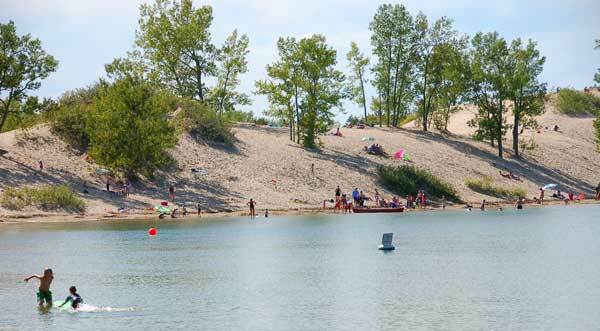 Its claim to fame was Sandbanks, a provincial park with huge freshwater sand dunes – the largest in the world. Sandbanks is still here and as popuiar as ever and so is the local food and wine. 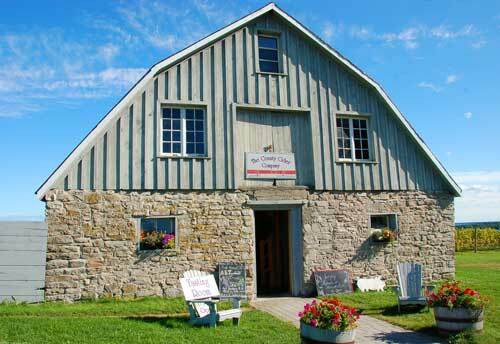 “The County”, as she's now known, is Ontario's hottest foodie destination and on Saturday, September 26th, it's hosting TASTE the County, an annual harvest event at its historic Crystal Palace in the Picton fairgrounds. Tickets are $25 and the gates open at 11 am. If you can't make TASTE, opt for a mid-week date later this fall. 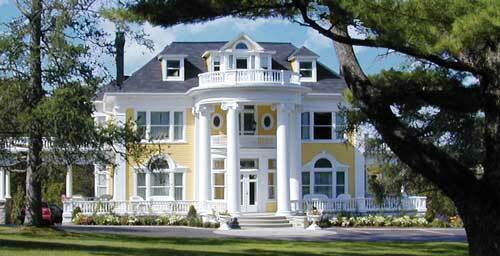 The Resorts of Ontario here offer great mid-week rates and there's still a lot to see and do. A mid-week trip is what a travel and food writer and I did a couple of weeks ago. [caption id="attachment_288" align="aligncenter" caption="The Waupoos Winery"] [/caption] Our County tour began with a "Preserve It" cooking class on a Wednesday morning at the Waring House Inn & Cookery. My dad's dill pickles were legendary in my family so, I was keen to see how difficult it would be for me to make them. I discovered that pickling is pretty simple, but found that sterilizing the jars in boiling water takes nimble fingers and good concentration. Preserves are making a big comeback in Canada and our class was packed. Chef Kelly Attwells led the cooking lesson. He's the Cookery's new director. A County native, he's just back from BC where he was head chef at the exclusive Island Lake Lodge. Besides running the Cookery, he's also cooking with executive chef, Michael Hoy, at the Claramount Inn & Spa. Its four-diamond restaurant is called Clara's. We ate dinner there on the Wednesday night and I thought the food and service were both superb and the inn and spa are gorgeous. [caption id="attachment_289" align="aligncenter" caption="County Cider Company in Prince Edward County"] [/caption] The next day my writer friend and I toured the County end-to-end. This is a peaceful part of the world. Traffic was light and it felt good to hang out in the slow lane and meander around without a schedule. Highlights included Fifth Town, where artisan cheeses are aged in a temperature controlled cave. We also visited the County Cider Company. Its outdoor bistro has got to have one of the best vistas of Lake Ontario. Then it was on to Waupoos Winery, the County's first winery. Next came Sandbanks and finally, the Isaiah Tubbs Resort. [caption id="attachment_287" align="aligncenter" caption="Isaiah Tubbs Resort"] [/caption] My writer friend had spied it and its Sandbar' "County wines by the glass" in the local tourism guide and the place didn't disappoint. Not only was there an impressive choice of county wines to choose from, this resort is on its own private beach across from the Sandbanks dunes. So we made it our last stop and sat and sipped a glass of local wine as we took in the sights. A great way to end a perfect day. [caption id="attachment_286" align="aligncenter" caption="The Claramount Inn & Spa"] [/caption] Later this fall, Isaiah Tubbs, the Waring House and the Claramount are all participating in this year's Countylicious, running from November 4-29, 2009. Three-course dinners are just $30 per person. Look for special overnight packages at these Resorts of Ontario to compliment the Countylicious event.